Brewer: Can you tell me the background of your company? Why did you start it? How has it changed since you started? Brian Sprinkman: The company has been around since 1929 and was started by grandfather, Walter (W.M.) Sprinkman, as a distributor of products and services to the dairy, food and beverage industries. The business grew organically and through acquisitions. My father, Bob, took over the business introduced the idea of offering the installation of Sprinkman engineered solution. Since we purchased a lot of stainless tanks as a part of these solutions, my father acquired a tank manufacturer in northern Wisconsin in 2000. With the added ability to manufacture tanks we expanded the scope of what we could do for dairy, food, beverage and the emerging brewing industry. We added tank building to our southern Wisconsin facility as well. I became the third-generation leader of our family business in 2015 and last year moved our headquarters to a much larger facility in Waukesha, WI, while continuing operations at our northern facility. Brewer: How has growth in the craft beer industry changed the way you do business? Brian Sprinkman: The industry continues to evolve and we put a lot of effort into anticipating and meeting brewer’s needs. As craft brewers grow, they increasingly focus on efficiencies, cycle times, cleaning and other production challenges. With our background in the dairy business, we bring years of experience in sanitary processing to the table. These are similar challenges that we have addressed with dairy and food customers. 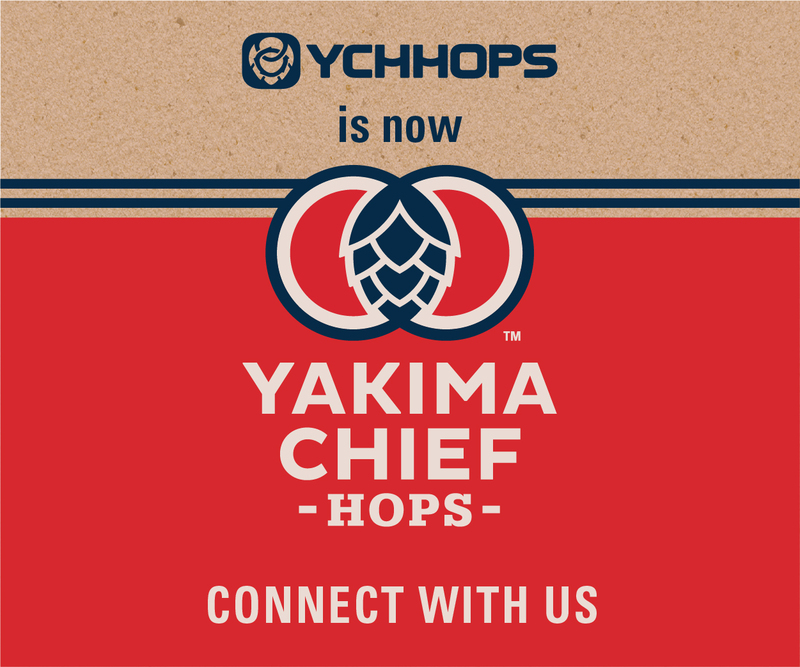 You could actually go as far as to say that the craft brewing industry has evolved to where it is a better match for Sprinkman’s strengths. 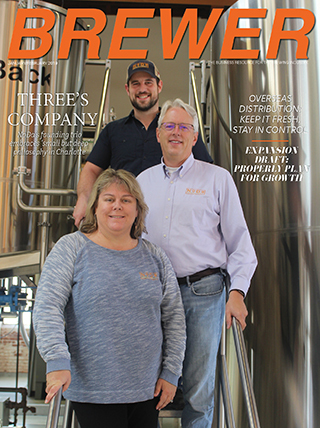 Brian Sprinkman: We have worked with everyone from start-ups to mega-brewers like MillerCoors, but our approach is relatively the same in that we are tasked with finding a customized solution to their brewing needs. Projects can run from designing an entire new brewing system to finding ways to improve brewing cycle times, yield, better yeast management or cellar improvements. We have many customers who have time and again engaged us to help them with multiple projects as their business grows. Brian Sprinkman: We take great pride in seeing our customers grow and become successful. At the end of the day, their success revolves around making great beer. We are a supporting player with a goal of providing the best equipment and systems possible for them to work with. One good example, would be MadTree Brewing in Cincinnati. 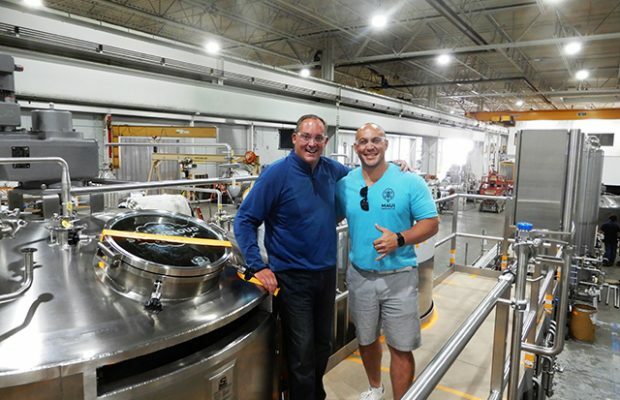 In business only five years, they now have a 100-BBL/3-Vessel Sprinkman Brewhouse for large runs of their core beers. We are currently installing a 15-BBL/3-V pilot brewhouse that will allow for continued experimentation and seasonal beers. They have a recipe-driven, automated Sprinkman CIP system for quick and efficient cleaning. A Dry Hop unit we developed for some of the creative IPA’s they like to brew. Cellar tanks, process piping, the whole gamut. Again, they handle the toughest part by brewing great beer. Our role is to support there efforts. Brian Sprinkman: Our new Pub & Pilot Brewhouses are a good example. 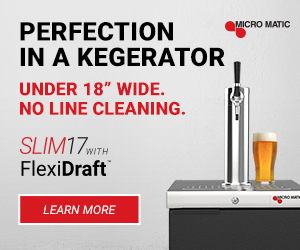 We noticed more inquiries from established brewers looking for smaller pilot systems that were a closer match to their current larger brewhouse. At the same time, we heard from start-ups looking to launch a brewery scaled to serve a smaller, local geography with a tap room and additional keg distribution, but little or no retail packaging. They also wanted the features and benefits of a larger production brewery to be able to truly craft great beers. Our two-vessel brewhouse configurations in 5, 7 and 10-BBL sizes, really meets the needs for both!